The Peavey Bandit is a classic, and among the best guitar amps out there for the money. All guitar amps are not created equal, and what works for one player may be useless to another. With so many options, configurations and features available it can get pretty confusing when you’re trying to decide which amp is worth your hard-earned money. If you’re a seasoned veteran you’ve been around the block a time or two, and you know what you want and need in an amp. But many intermediate players may need a little direction when it comes to sorting it all out, and this article can help. We’ve all been down the same road. Back when you first started out you were content plugging your guitar into anything that made noise. You probably remember the little amp you got with your first guitar, that tiny box featuring distortion that sounded like a nest of hornets and one knob that somehow controlled all tonal frequencies. Things have changed since then. Your ear now knows the difference between good tone and everything else, and you’ve become a bit of a snob compared to your former self. There is nothing wrong with that. In fact, it’s a rite of passage for every guitarist, the quest for perfect tone. Some find it early and cling to it for their whole career. Some spend their lives searching, and never quite get there. Whether you succeed or fail depends largely on your amplifier, so choose your weapon wisely. Let’s get started. What follows is a series of questions for you to consider. Grab a pen and a piece of paper and jot down your answers. By the time you get through this section you should have a clear idea of what type of guitar amp is best for your needs. Most guitar amps have at least two channels: One clean, and one overdrive. The saturation and color of the overdrive differs in different types of amps, and which amp is best for you will depend largely on what kind of music you play. If you are into country, blues or soft rock you can look to amps that produce a good clean sound and softer overdrive. If you play metal or more extreme music you want an amplifier capable of high-gain overdrive. Be aware, many amps land somewhere in between, but getting an idea of that sound you’re after can help narrow down your choices. It’s important to know what you need to meet your needs. If want heavy sounds from your amp you need to go the high-gain route. Based on your answer to this question you should now know whether or not you need a high-gain guitar amp, or something more subtle. A good example of high-gain amps for rock and metal is the Peavey 6505 series. An example of some excellent amps for blues, country and lighter rock is the Fender Hot Rod series. Is Better Tone Worth a Few Maintenance Issues? When it comes to power you have a couple of basic options, mainly tube and solid state. Many players agree that tubes sound better, and they are preferred by most professional musicians. The downside is that they are less reliable, need regular maintenance, are generally more expensive, and are a bit more fragile. Solid state (or transistor) amps are more reliable, since they have no tubes to blow, and many have very good clean sounds. However, while it has improved tremendously in recent years, solid-state distortion is never quite as good as tube distortion. Tube Amp vs Solid State Amp: Which is Right for You? You should now know whether you want an amp with solid-state circuitry or tubes. The power output of a guitar amplifier is labeled in watts. Tube amps are usually louder than solid-state amps of the same power. To put it another way, a 50-watt tube amp will be much louder than a 50-watt solid-state amp. How much power you need in an amp depends on what you intend to do with it. In many cases it’s determined by whether or not you’ll be playing with a drummer. Drums are loud, even acoustically, and your amp needs to be heard above the racket they create. For a tube amp, anything less than 40 watts will strain to be heard above a live drummer. For solid-state amplifiers it really depends on the manufacturer. Eighty to a hundred watts is a safe bet, but when it comes to solid state more is always better. If you’re only playing in your bedroom or basement, and you have no expectations of playing in a band, you can get away with a low-wattage amp. Or, you can get a high-wattage amp and annoy your neighbors. It really doesn’t matter, and for home players it’s all a matter of personal choice. But if you intend to jam with a drummer you’d better come packing enough firepower. Also, be aware that in live situations the sound guy will put a microphone in front of your amplifier and run it through the PA system. Small, low wattage amps are fine for playing live if you like the tone. The power needed to fend off drummers is really important for rehearsals and jam sessions. You should now know how many watts you need in an amp. Do You Need a Highly Portable Amp? This is where the amp and the speakers are in separate chassis. 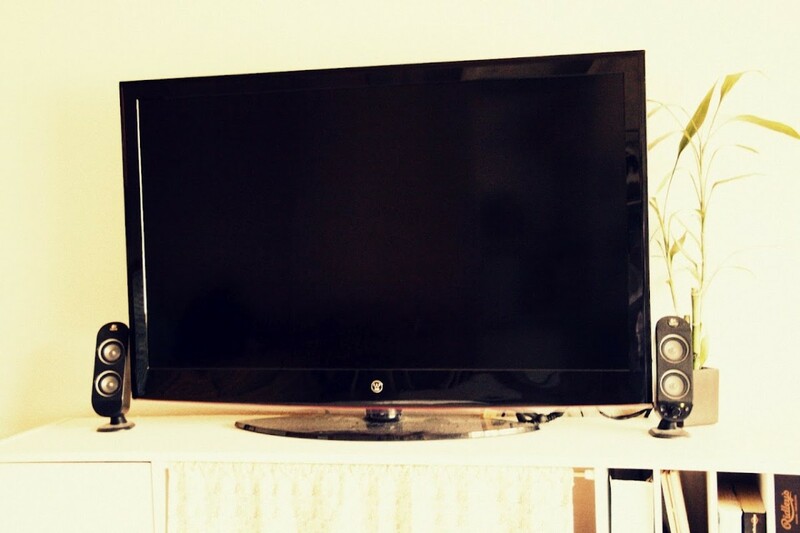 Usually the amp will be placed on top of a cabinet containing two or four 12-inch speakers. A cabinet with 2 speakers is called a 2x12 cabinet. Four speakers would be 4x12. Two cabinets and amp together are collectively called a “stack” or in the case of one cabinet a “half stack”. Everybody loves the look of a big amp stack, but they become a little annoying when you have to lug one across town, or cram it into the backseat of your car. Still, half-stack configuration provides amazing sound quality, projection and resonance, as long as you’re willing to put up with the hassle. A combo amplifier is one where the amp and the speaker are in the same cabinet. They are easier to tote around, and even though most of them don’t have the projection of a 4x12 cabinet, they can be pretty loud. The most common configuration is one 12-inch speaker (1x12) or two 12-inch speakers (2x12). There are some small 1x10 or 1x8 combos out there that sound pretty good, but these are basically practice amps. When it comes to combo amps, 1x12 or 2x12 are your options for a serious amplifier. The 2x12 configuration obviously provides more sound projection. Note: More speakers don’t make the amp more powerful necessarily but, because of a greater mass of air moving, the rig as a whole will put out more volume. So, even though the amp isn’t more powerful you can get more volume, and the sound will be fuller. 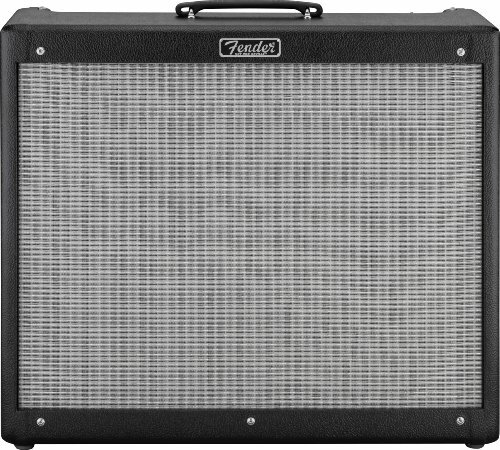 Half Stack vs Full Stack vs Combo: Which Guitar Amp in a Band? 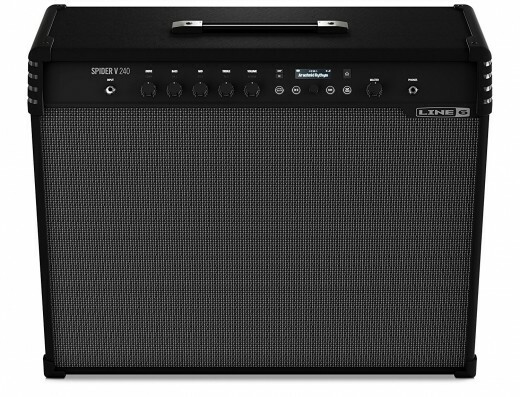 Line 6 amplifiers are known for a huge array of features. What extra features do you require? The standard features for most guitar amps are two channels (one clean and one overdrive) and possibly a built-in reverb effect. However, many models incorporate elaborate onboard digital effects, and some even emulate different kinds of amps altogether. 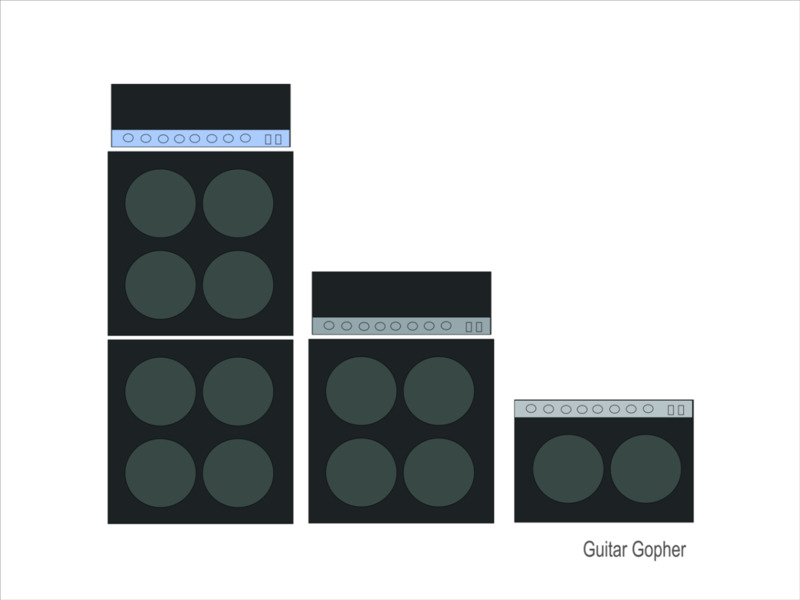 Amp modeling is useful for guitarists who play in cover bands, or just like to be able to emulate the sounds of their favorite players. It’s a really cool idea, and many players love it, but it is up to you to decide if you need all those bells and whistles. I might be old-school, but I have always thought a guitar amp should be good at one great tone, and that’s it. If I need any effects on top of that I’ll add them in the form of pedals or an outboard effects processor. Guitar amp features don’t end with what you see on the front of the amplifier. Most amps have all kinds of gadgets on their back panels, from a place to plug in a footswitch, to effects loops, to line out jacks, to external speaker jacks, to power cut switches, ground switches and more. Pay attention to what’s going on back there when you research your options. Note that many combo amps have the option to plug in an external cabinet. Usually the power output of the amp will increase with the extra speaker load. This is a great feature for extending the capabilities of your home combo amp. You should now have an idea of which kinds of extra features you need your amp to have. If you’ve patiently read through the above you might be wondering if there will actually be any recommendations for amplifiers in this review. Sure there will! Below are five different amps for five different kinds of players. Maybe one of them it exactly what you are looking for! 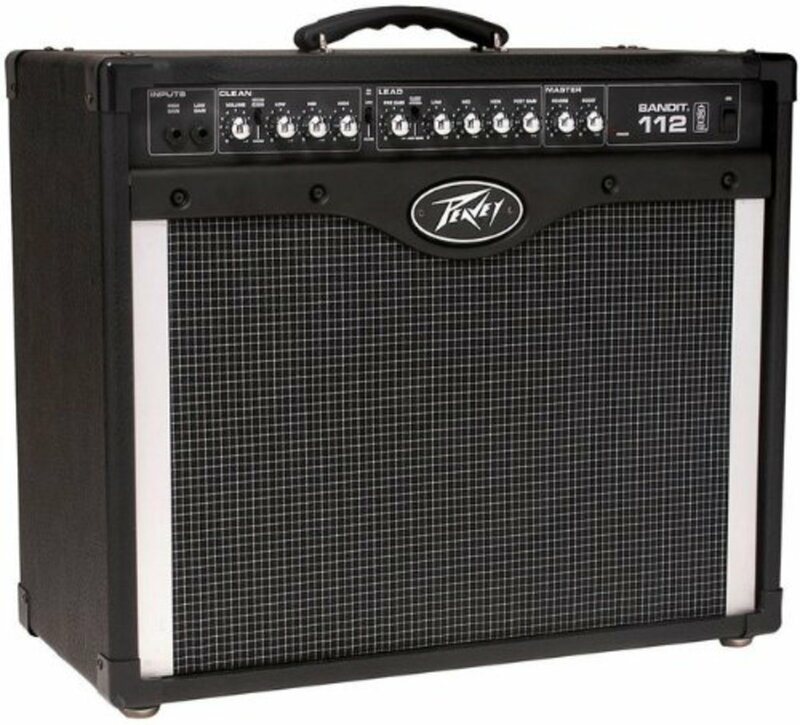 If you’re looking for a loud, basic, inexpensive solid-state amplifier it’s tough to beat the legendary Peavey Bandit. It’s got 80 watts of Peavey power with its internal speaker, bumped up to 100 watts with an external cabinet. When it comes to solid-state distortion, Peavey’s TransTube technology is top notch. This amps gets some outstanding tones for metal and aggressive music, but really it’s a good all-purpose choice for any genre. The amp is a good choice for up-and-coming players, or guitarists on a budget, who need an amp for any occasion, including possible gigs. Check out the Peavey Bandit! This is a very loud tube 2x12 combo. No high-gain here, but instead you get that smooth Fender overdrive. At 60 watts is has more than enough power for any live, rehearsal or gigging situation. Aside from spring reverb there aren’t many bells and whistles here, but what you get is pure Fender tone through and through. 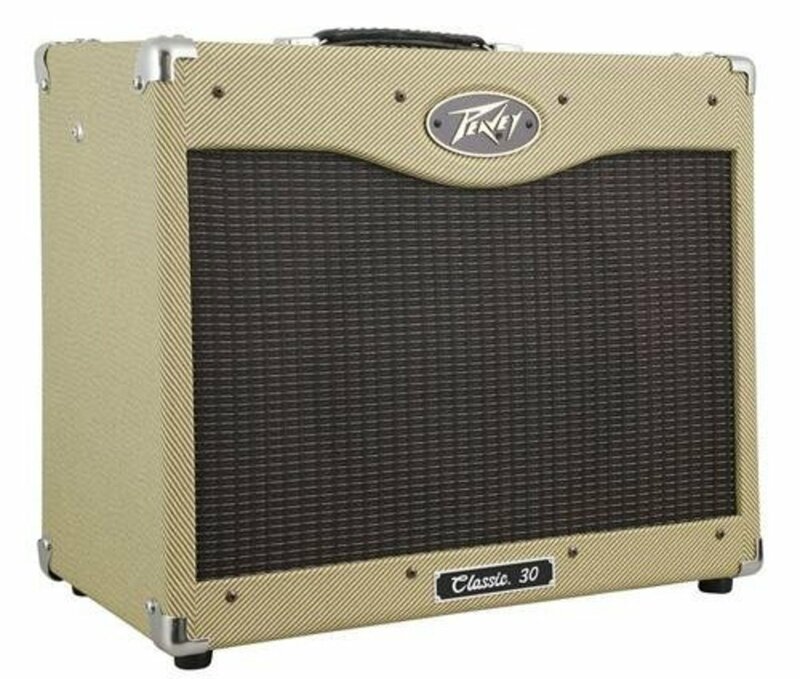 This is an excellent option for blues, country and classic rock players who play in a band and don’t feel like lugging a half-stack around. For some players, only an-all tube, 100-watt half-stack will do. You know Marshall is about the biggest name in guitar amps, and their stacks have appeared in more backlines on more stages than any other in history. At 100-watts tube this thing will blow the roof off your house, and possibly cause your neighbors to move or at least file legal actions against you. While some guitar players tuck bad boys like this away in their basement for fun, many players rely on that epic Marshall tone to get the job done in their bands. A Marshall half-stack is a great choice for professional musicians who want that monster Marshall tone, and hobby players who can finally afford one. If you love the idea of a tube amp half-stack but your wallet can’t justify the cost, take a look at Bugera. These amps are built to harness some classic tones, and despite their low price they’ve converted some veteran players. There are a lot of different models aimed at different styles and levels. The Bugera 6260 Infinium is billed as the Ultimate Rock Tone. Maybe, but at the very least it’s a solid amp for players who can’t afford to drop big money on their rig. It’s easy to see which well-known amp this thing is modeled after, and the tone sounds fairly close. Bugera is a great choice for players who are looking for the best guitar amp for the money, want a tube stack, and need to stick to a budget. Line 6 is a pioneer in amp modeling and digital effects, and their Spider lineup consists of classic amps from little 20-watt models up to full stacks. This 2x12 combo has all the flexibility and features a guitarist could ever need, all wrapped up in one portable package. With a huge palette of amp models and a ton of effects, whether you play rock, metal, country, jazz or blues you’ll get the sounds you need out of this amp. It’s loud enough for any situation, and can be paired with an optional foot controller for total control onstage. If you are a gigging musician who needs to nail many different tones during your set, and you want a compact, reliable rig that’s easy to set up and tote around, this might be the amp for you. Go Get Your New Guitar Amp! Your head is no doubt spinning with information and ideas about your new amplifier, and of course the above are just suggestions. A good guitar amp should last for decades, so putting the work into making a good decision is well worth it. When it comes to buying guitars people often recommend purchasing the exact one you try in the shop, but for amps you needed be so worried. You can safely purchase online from a reputable company with a good return policy. 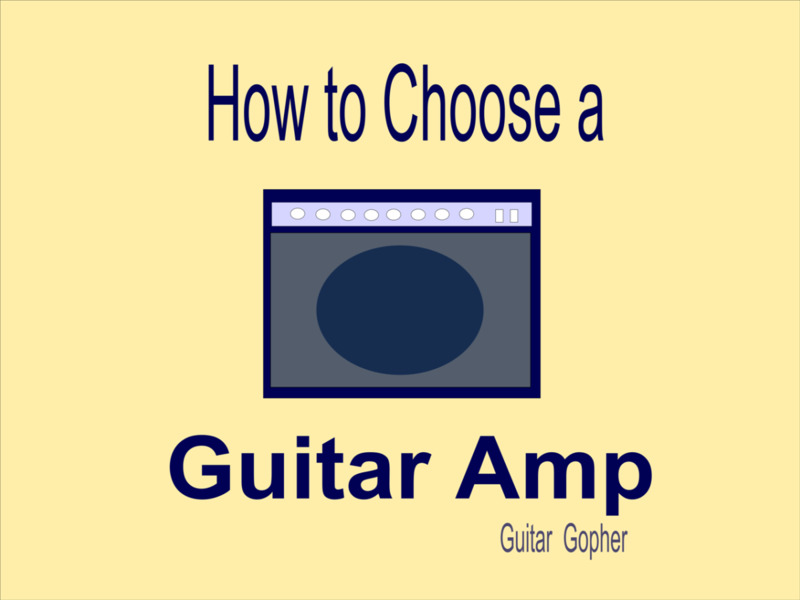 You may find a guitar shop giving you a new amp in the box instead of a floor model anyway, so there is little difference between what you will purchase in a shop and what you can get online. It is your decision. One more thing: Like guitars, there is no written rule that says you can only have one amplifier. Just some food for thought! Good luck! Here are more article to help you choose the best guitar amp for the money. Here's a look at some of the best amp builders in the world. There a big names that have served the needs of pro players for decades, but they also make gear for any level of guitarist, including beginners. If you're looking for a gig-worthy amp that won't break your wallet here are some top choices. These are 5 of the best guitar amps for the money, with all the effects and tone you need to nail any sound. Finding a great tube combo amp that meets your needs might mean you don't have to lug around a 4x12 cabinet ever again. Here are some of the top choices out there! Hi Yazan. 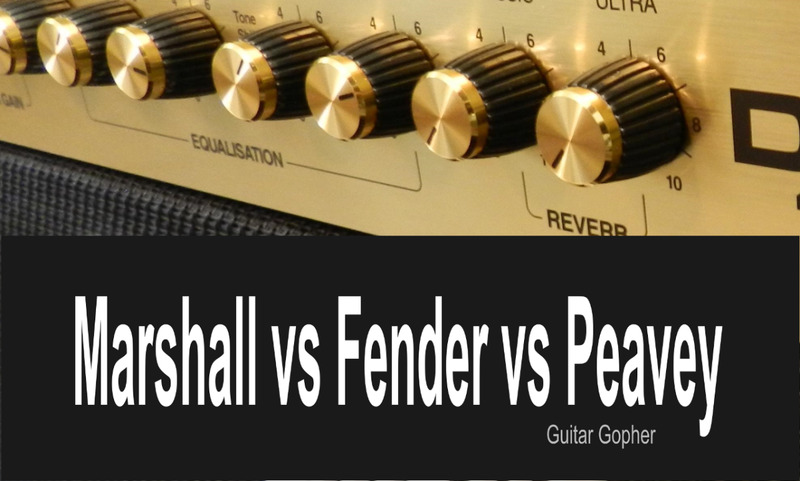 Your best bet is to go to Peavey's website and compare the two amps side by side. 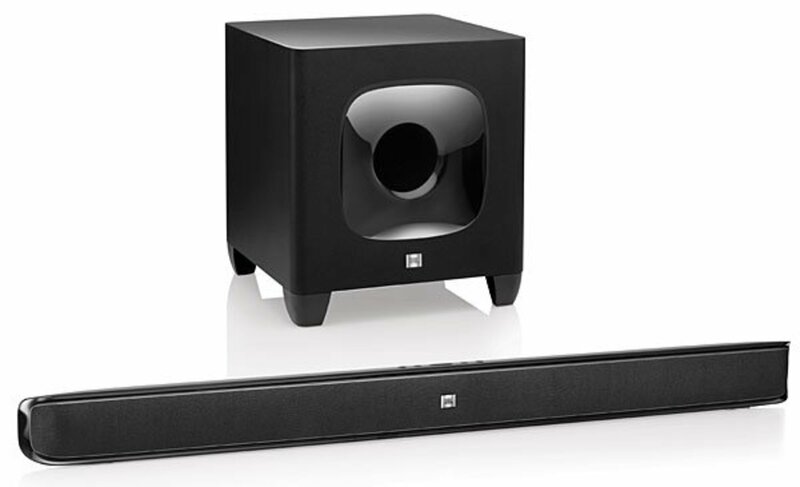 Two of the key differences, aside from the power rating: the VIP 2 has a larger speaker (12" vs 8") and an extra level of available effects. Thanks loveofnight. Glad you found it helpful! Everything that I needed to know and more. You did an awesome job with this hub. Thanks for the info.